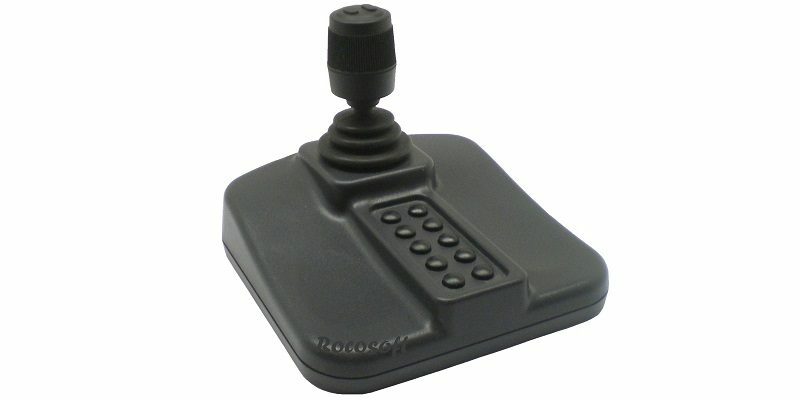 Rocosoft Serial Port VISCA PTZJoy Controller Software allows you to build a Professional PTZ Camera Control System using wired or wireless professional or gaming USB Joysticks. 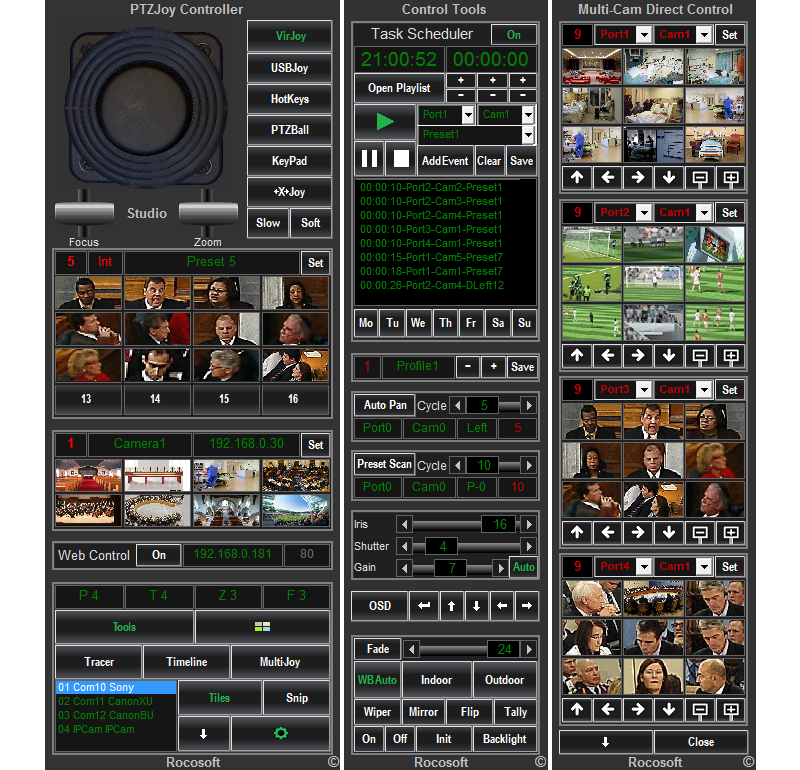 It offers complete PTZ camera management with local and far-end camera control from any computer, tablet, TriCaster, vMix, Livestream, Wirecast, and any other Live Production System. Designed to be used with the industry’s top live streaming solutions and professional robotic cameras, this software unveils the true possibilities for PTZ camera management. Our software is a small control panel on the screen and adds advanced functionality that is simply not available with any other hardware or software controller on the market. Our Innovative Preset Visualizer™ Visual Control Panel allows users to create a custom graphic user interface with a visual layout of camera presets on a live video or static image background. 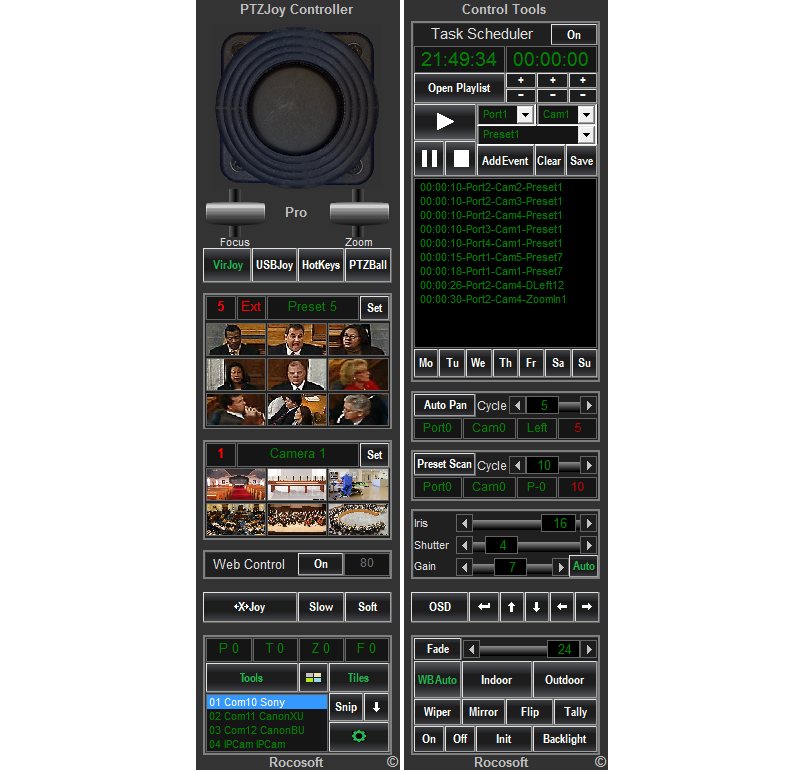 PTZJoy™ Controller Software is compatible with all PTZ cameras connected to a computer via serial RS-232, RS-422, RS-485, or USB ports. That includes Sony, Panasonic, NewTek, PTZOptics, JVC, Datavideo, Lumens, Bolin, Huddlecam, Vaddio, Hitachi, and all other Serial Port PTZ cameras. 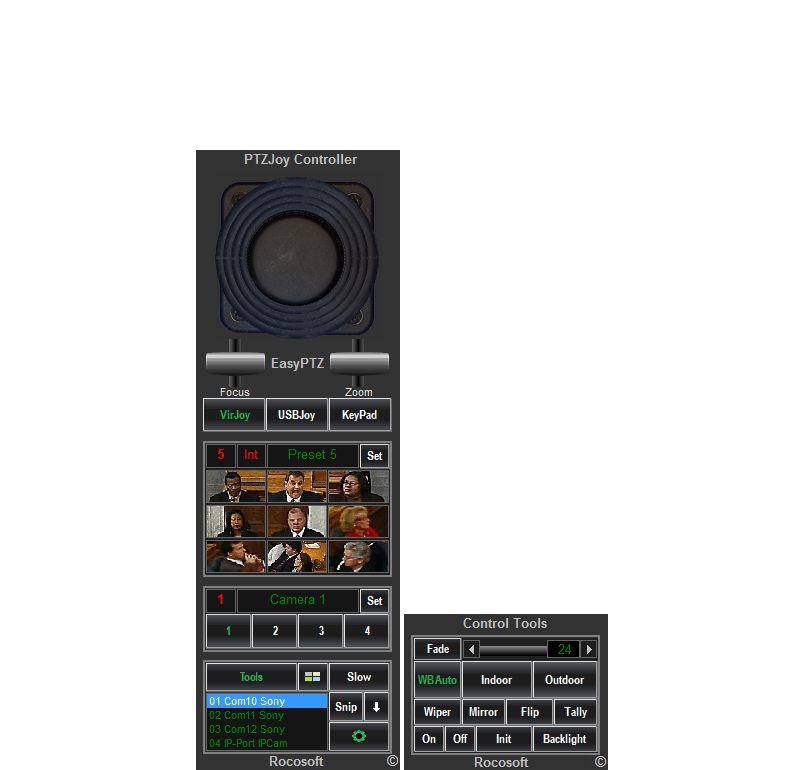 Our software is universal and will give you control of all Broadcasting PTZ cameras from the same interface. Mix or match.